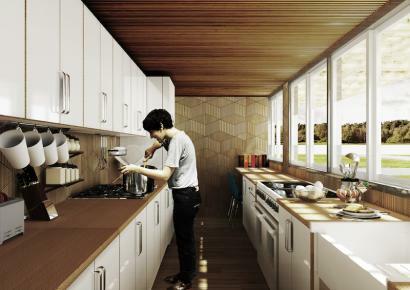 As the popularity of sustainable homes made from recycled material soars, shipping container architecture is on the rise. Homes made from cargoes are popping up everywhere. 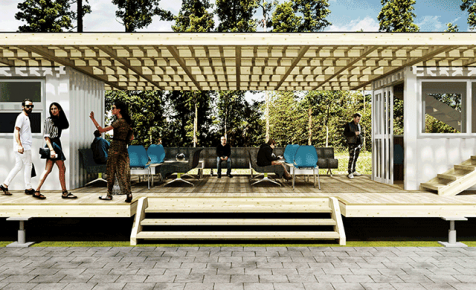 Paying tribute to this wave of eco-friendly innovation, architecture firm Hermann Kamte & Associates has revealed its new project, Lego Lunch—a restaurant built with recycled shipping containers in Siauliai, Lithuania. Recycling shipping containers is often considered as an eco-friendly alternative to traditional bricks and cement. Not only does it save raw building materials, upcycling a 20-foot shipping container saves 2,300 kilograms of steel from going to the landfill. The additional advantages of strength and durability make it an ideal foundation. Although metal wielding is a labour-intensive process, working with a prefabricated structure could reduce construction time and overall cost. Yet what triumphs above all is the incredible flexibility of this shipping container restaurant. Independent and assigned with a specific function, the modular structure is easy to replicate and maintain. Taking advantage of the standard 20-foot shipping containers, the load-bearing and stackable structure is also designed to be expandable in height. 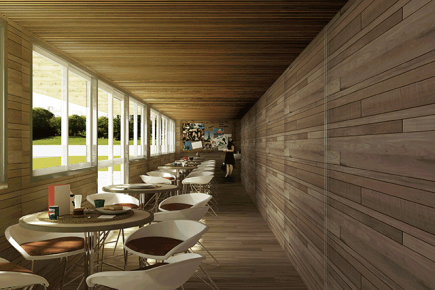 With south-facing windows to take advantage of natural sunlight and warmth, the design aims to maximise the establishment’s energy efficiency and reduce its carbon footprint. Comfort in the colder months is also ensured with LED lights and insulation. Set on a deck made of wood and metal, the interior walls of the cargoes will be furnished with wooden panels. The soothing woodwork, sturdy metal structure and glass windows give a mixture of warm, cold and neutral tones. Topped with greenery on the roof, the restaurant is designed with its sustainability goals in mind. Hermann Kamte & Associates, the architects of the project, aspire that the project would be a “powerful legacy, a unique architecture in this beautiful community.” With the firm's continual efforts in creating amazing architecture across the globe, perhaps these sustainable, upcycled constructions will one day cease to be an uncommon sight.